From skateboarders to drag racers to men who walk on iron bars, June was a thrilling month for our top “In the Moment” photos. We invite you to take a glance at those you may have missed, or a second peek at those you’ve already enjoyed. 1. Meet Jake Boles! He is one of the iron workers from the local #17 chapter working on our Considine Professional Building expansion. The hospital holds a special place in Jake’s heart because 5 of his family members were patients here. 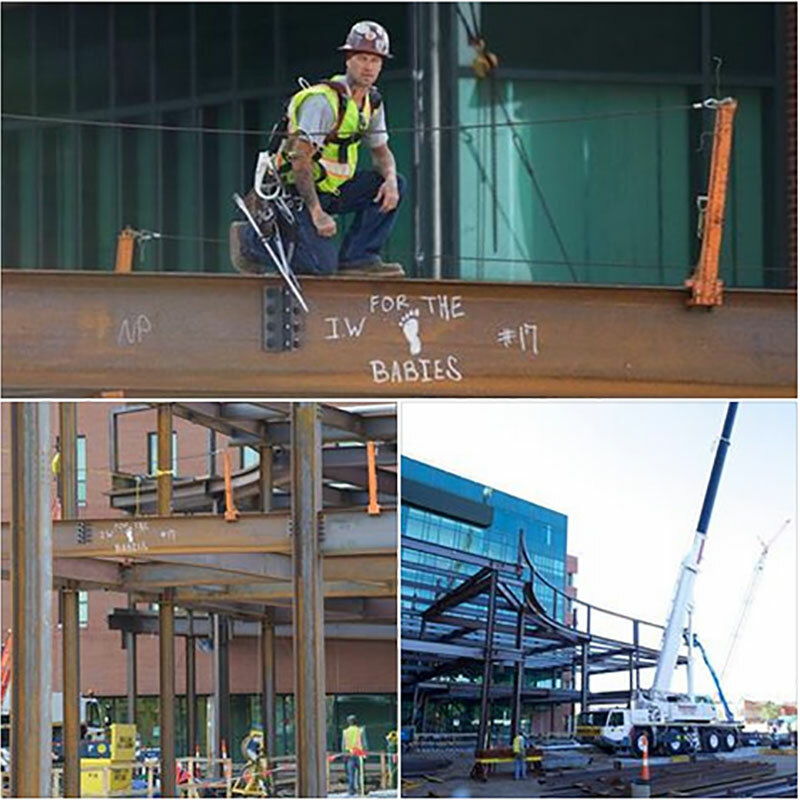 Now, Jake took the time to draw a tiny footprint on one of the metal beams being used for the expansion. 2. After his wife and oldest daughter suffered second and third degree burns in a cooking accident, Scott “Woody” Woodruff and his coworkers at JEGS Performance decided they wanted to give back to our Paul and Carol David Foundation Burn Institute where both of his family members were treated. 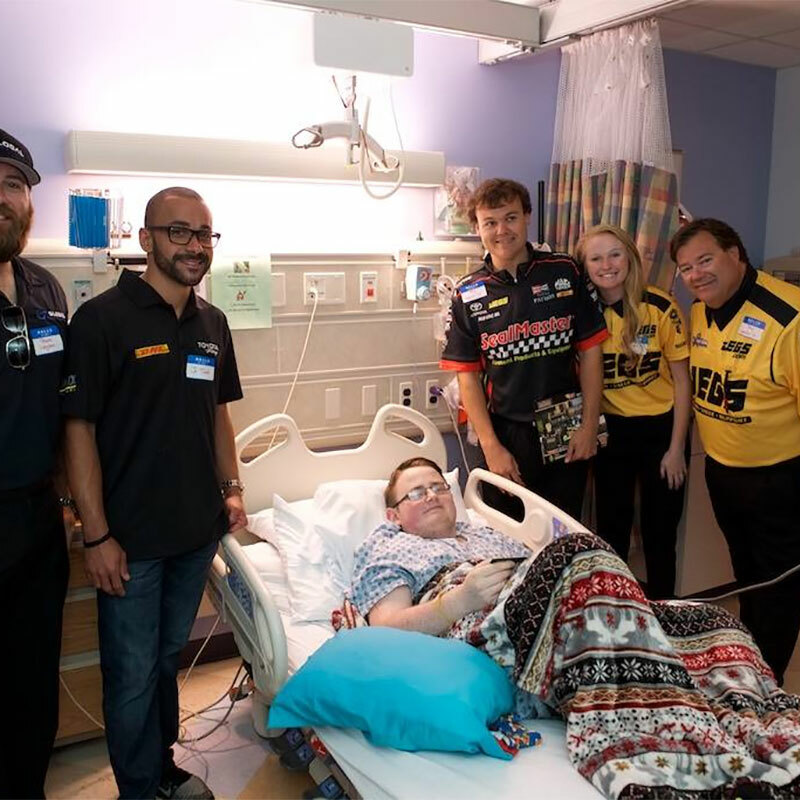 5 NHRA drivers (Troy Coughlin Sr., Troy Coughlin Jr., J R Todd, Shawn Langdon and Paige Coughlin) visited patients along with a few of their cars. 3. James Howard wasn’t born yesterday (he’s actually 17 days old), but even he knows the Cleveland Cavaliers need just 4 more wins for their second consecutive NBA World Championship. 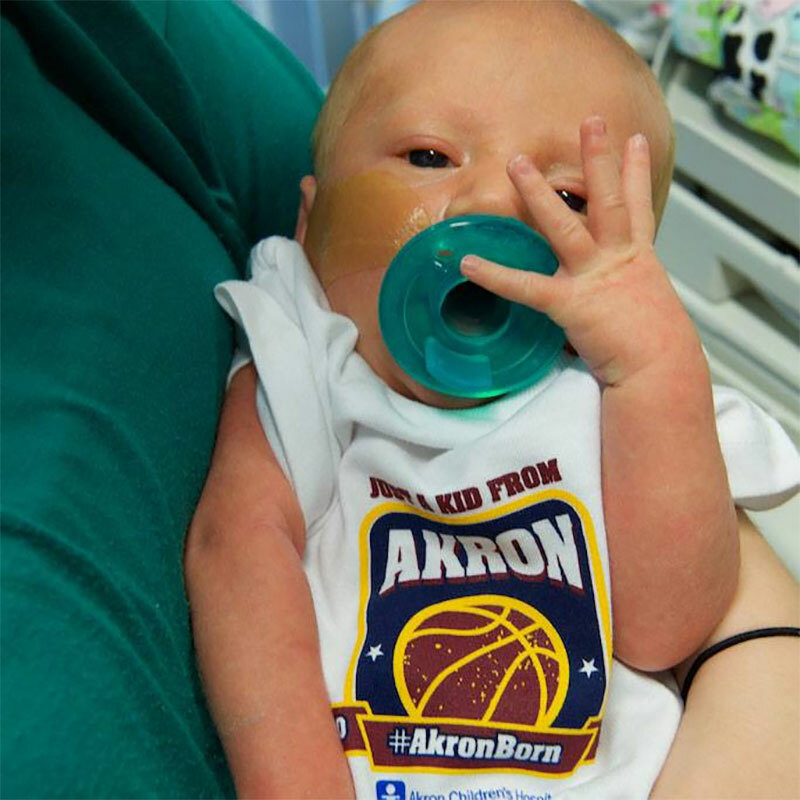 He and Kenna Harbaugh, Micah Nieves, and Xander Bell, and the rest of the babies in the #akronchildrens NICU who couldn’t make it home to watch the game with their families received a special onesie to show their support! 4. Happy Father’s Day to all the cool dads! Dr. Robert Parry is definitely one of them. 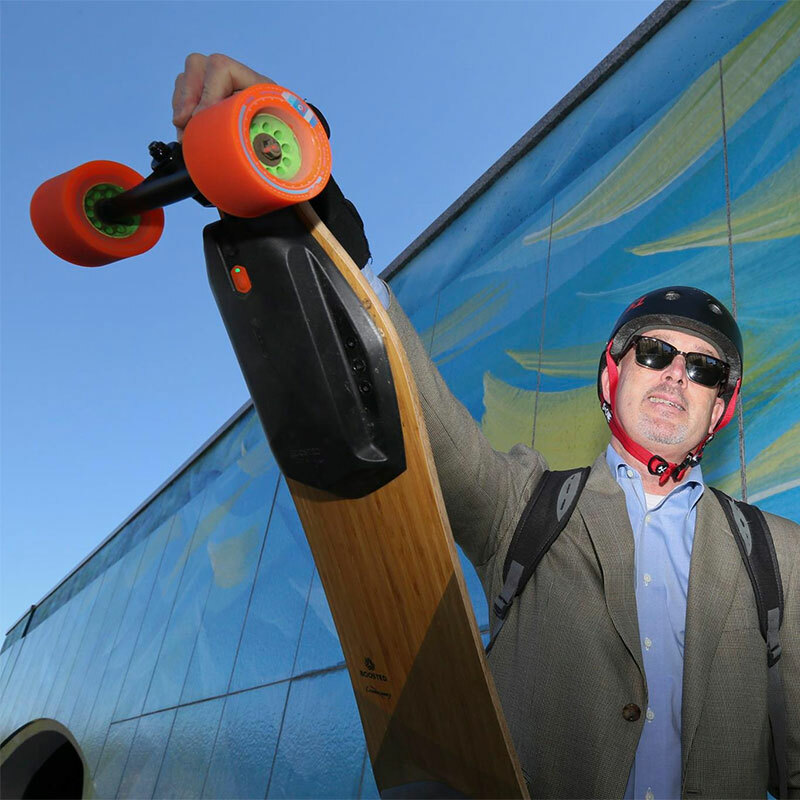 The father of 3 skateboards to the hospital in a suit, surfs Lake Erie in the winter and surprises his patients daily with personalized drawings on their surgical bandages. 5. Sneak peek of the newly expanded Beeghly campus in Boardman! Community leaders and the news media attended a VIP open house. The public was able to attend a free community event on June 17 with family-friendly activities. 6. The heroes are now unmasked! 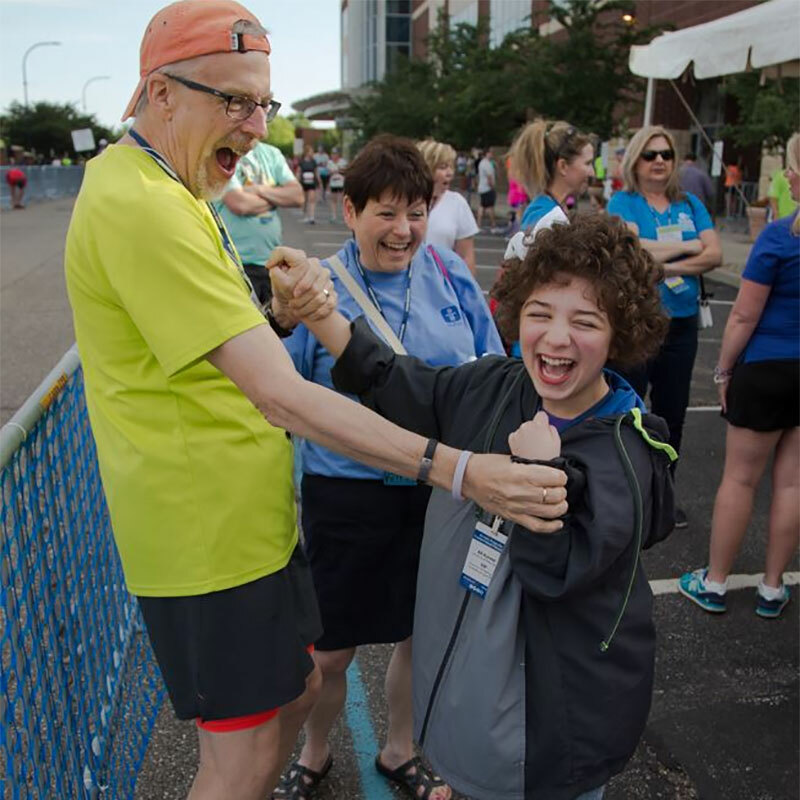 Introducing the coolest, strongest kids around: our 2017 Akron Marathon Race Series #ACHero patients. Live and in action this morning wishing all the runners a great 8K or 1 mile race. 7. 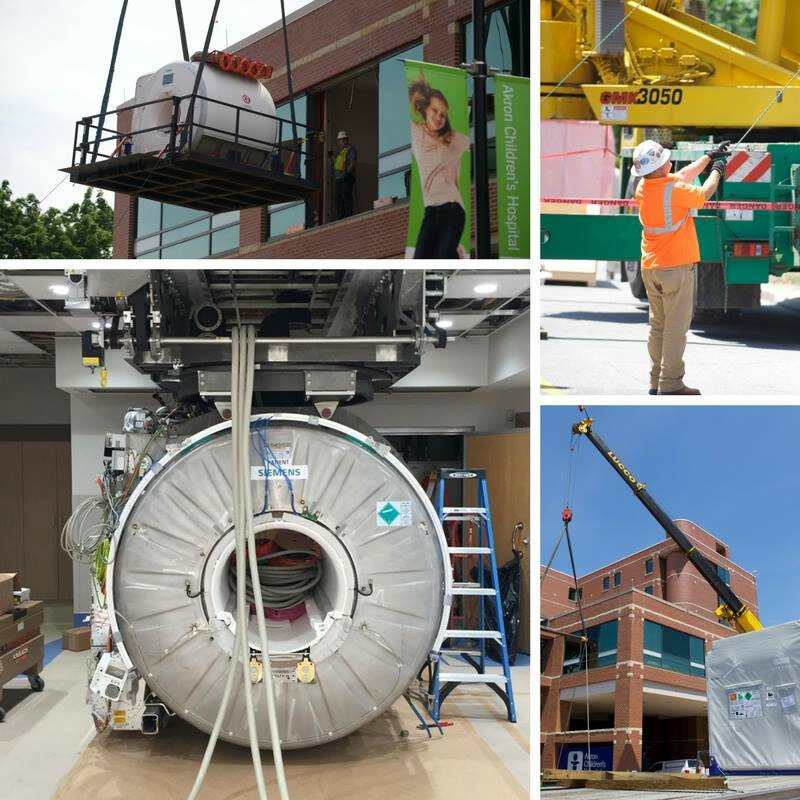 The magnet for our new Intraoperative MRI was recently delivered. 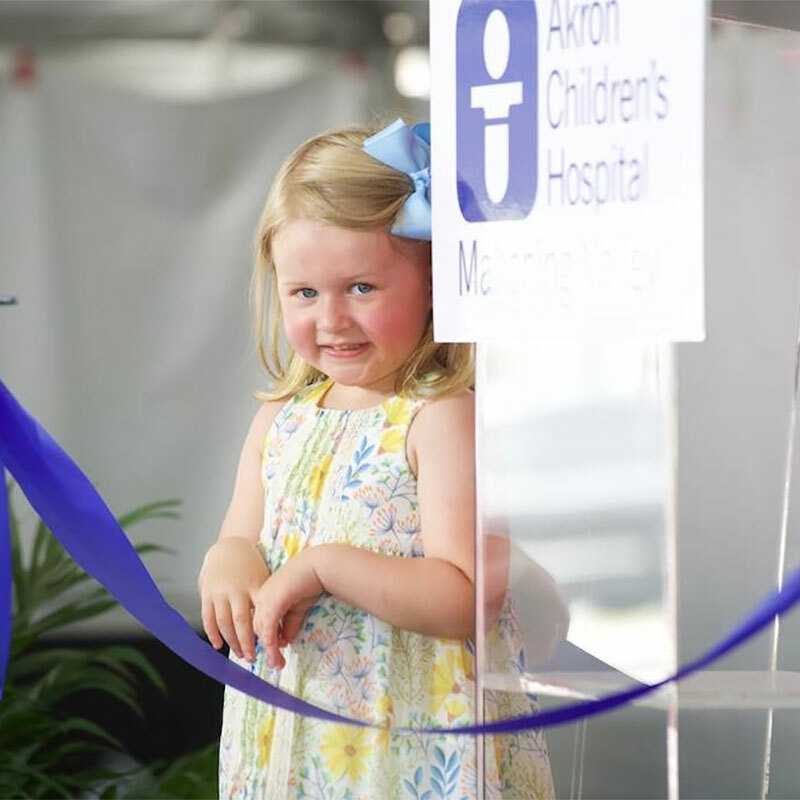 This state-of-the-art technology will be mounted on a suspended rail system that allows for it to be used in surgery and as a diagnostic tool. 8. 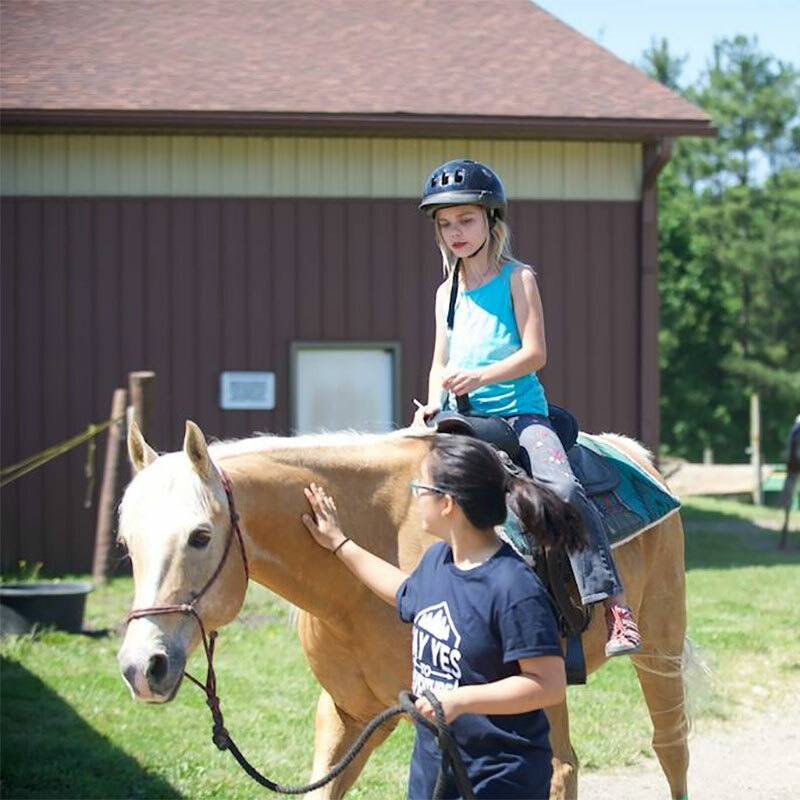 66 of our hematology and oncology patients had a great start to summer – playing at Camp Ed Bear in the wilderness with other kids just like them. In addition to these adorable photos, we share a recount of camp in 1991 when then 15-year-old, acute lymphoblastic leukemia patient Matt Tullis was nearly too sick to attend. His powerful words 26 years later truly show what this camp means to so many kids each year. 9. 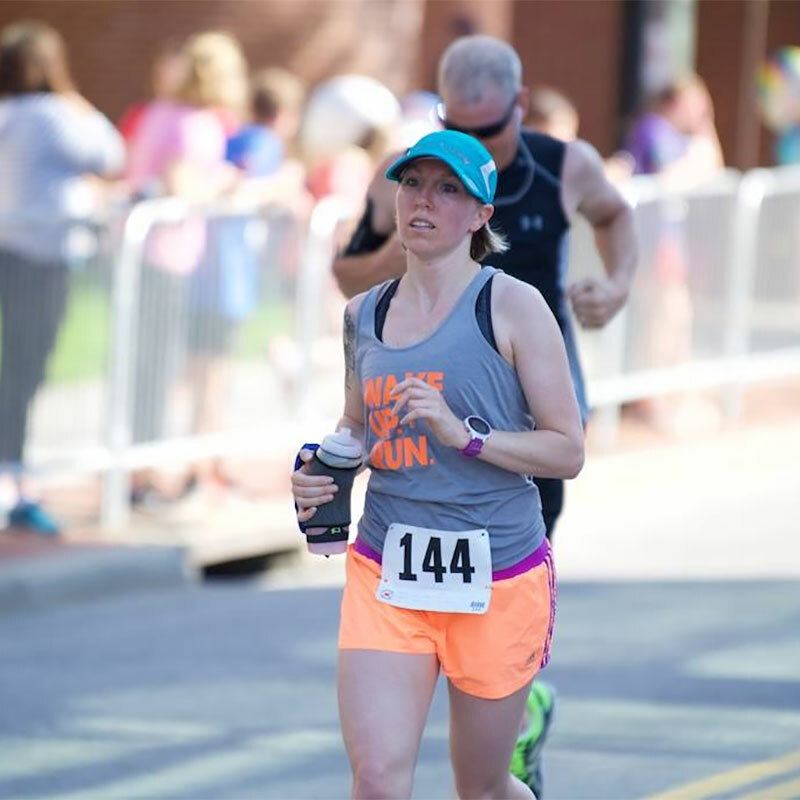 Check out photos from the 32nd annual Kids Are #1 Run and Family Fun Day, held Saturday, June 3. 10. 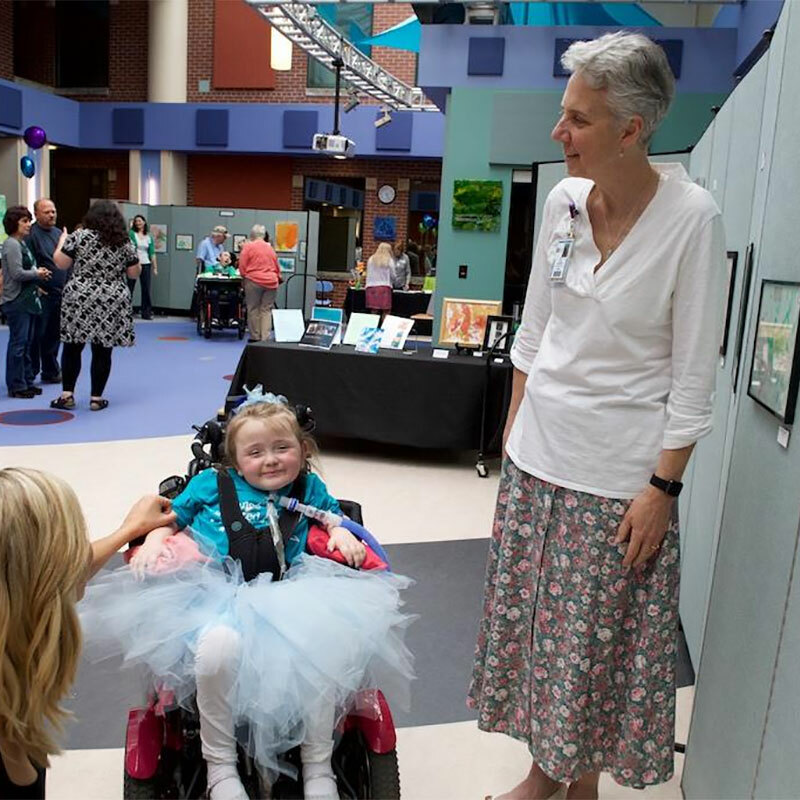 Every year our Emily Cooper Welty Expressive Center on the Akron campus celebrates the artistic talents of the patients, family members and staff. The event incorporated visual art, dance, music, poetry and lots of smiles.